Combining the finest designers, materials and production processes, Nambe is dedicated to creating unique and functional designs for today's lifestyle. 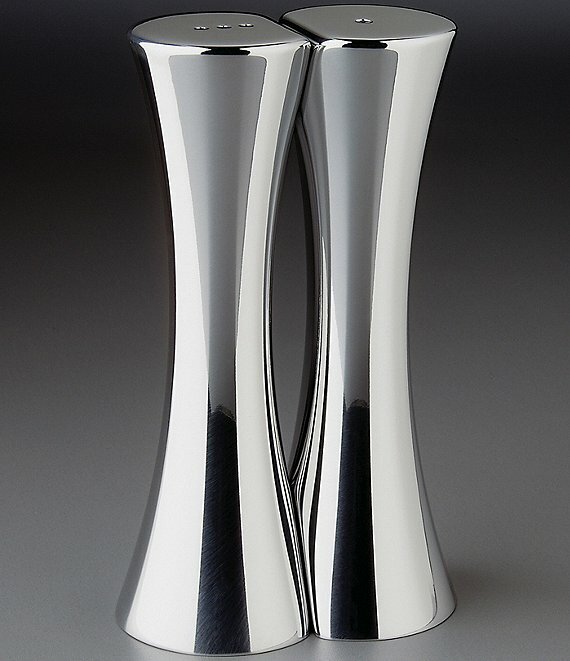 Enduring elegance and style are reflected in these 'kissing' salt and pepper shakers, made of a metal alloy that possesses both the beauty and shine of sterling silver and the durability of iron. Each cast in sand as a solid piece, they will not crack, chip, peel or tarnish.